Get ready for the most fabulous, functional, full of solid wood character storage center you've ever seen. So much more than just a magazine rack, the Amish Hardwood Magazine Stand with Storage and Cupholders is full of pleasant surprises. 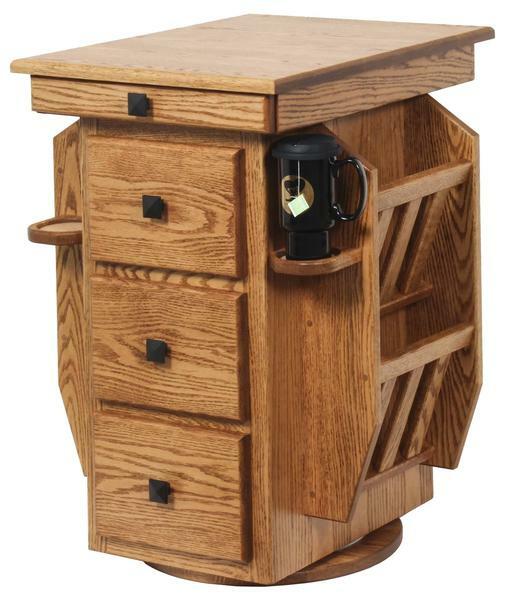 It's they type of furniture you can expect from Amish craftsmen. This storage center will help to keep things tidy and it will look great while doing so. Choose from oak, brown maple, cherry and quarter sawn white oak wood for your magazine stand. Measures 23" x 23.5" x 29.75". Please email or call us with any questions. 23" x 23.5" x 29.75"